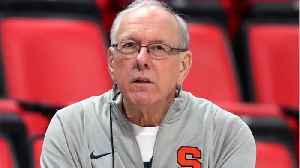 A source tells Syracuse.com that Orange men’s basketball coach Jim Boeheim struck and killed a man with his car while driving on the interstate around midnight on Wednesday night. 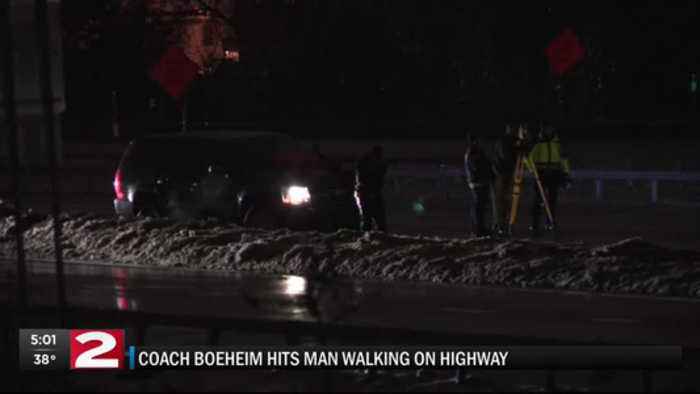 From the report:..
Syracuse men’s basketball coach Jim Boeheim struck and killed a man walking on an interstate late Wednesday night as he tried to avoid hitting the man’s disabled vehicle. 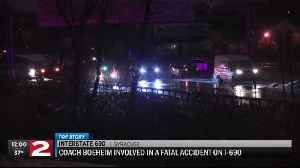 CBS2's Mary Calvi reports. 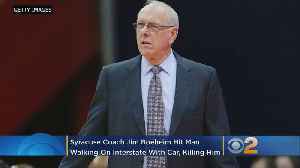 A newspaper in Syracuse is reporting head coach Jim Boeheim was involved in crash that killed a man walking on Interstate 690 overnight. 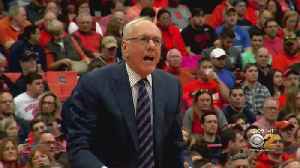 Matt Yurus reports.